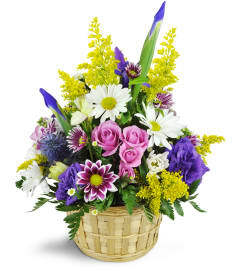 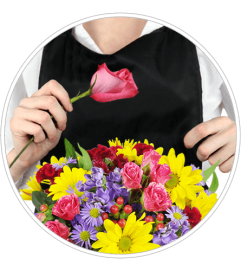 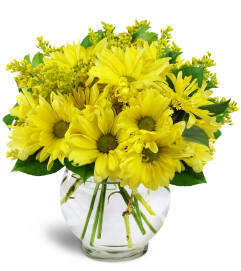 Welcome a new face or congratulate a new mom with this awesome arrangement. With a classic yet modern look, this bouquet is a wonderful way to celebrate the occasion! 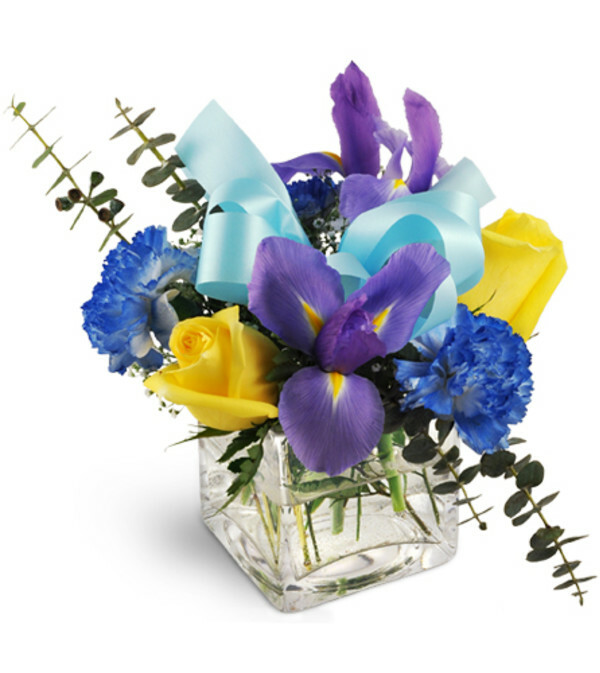 Dramatic irises, yellow roses and blue carnations combine to make magic in a clear glass vase.